Umbertide is a small town on the river Tiber close to the Niccone Valley, the location of many of our holiday villas on the Tuscany Umbria border. 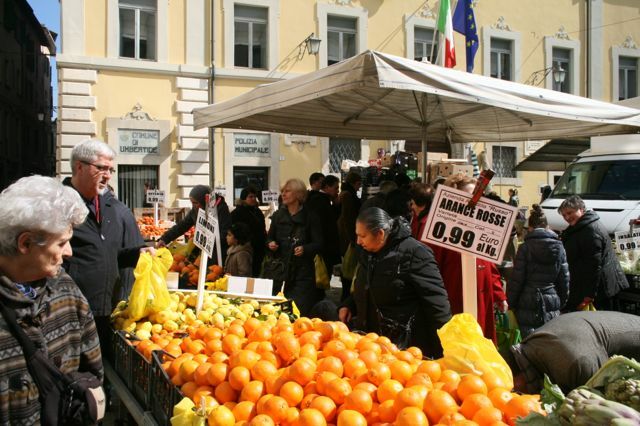 It has a market on Wednesdays where you can find seasonal fruit and vegetables at incredibly good prices. Parking can be a problem but if you cross the railway line and go to the large car park at the back of Piazza San Francesco you will almost certainly find a space. 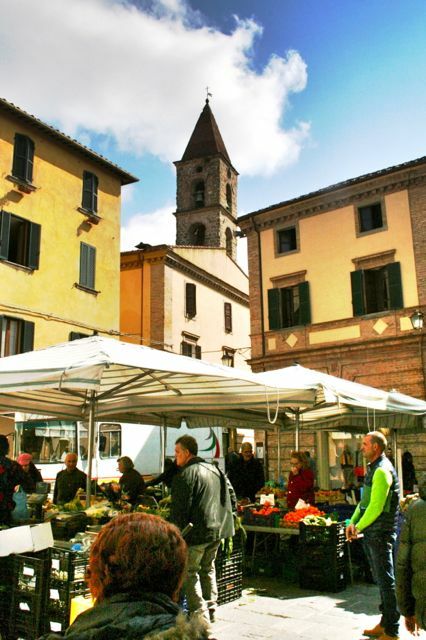 Piazza San Francesco is a picturesque part of the old town with a couple of churches and a cloister. 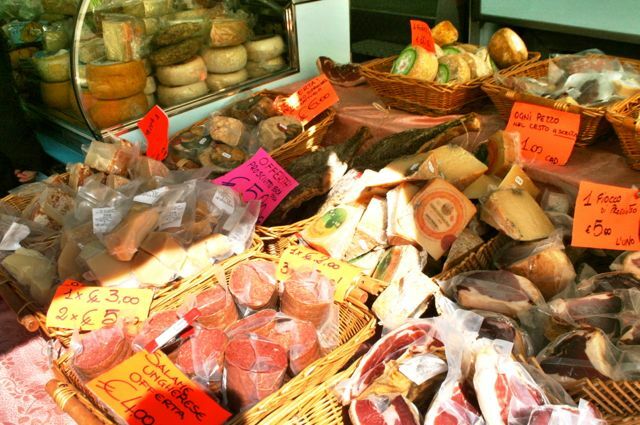 From here it’s a short walk into the main part of the centro storico where you will find the stalls selling fresh fruit and vegetables, porchetta (whole roast pig), salamis and cheeses. Just past the Rocca, the huge castle tower, you will find the clothing and hardware stalls where you can, if you are a determined rummager, find some good clothes in the bargain bins. We always try and buy as much of our weekly vegetables from the market as possible, even going so far as to take a shopping trolley.